Selma is the ground floored apartment (90sqm each)of a typical Mediterranean styled villa (450sqm), surrounded by the garden, among maritime pines, oleanders and honeysuckles. Selma apartment boasts three bedrooms, comfortably giving lodging to six (6) guests. There are two full bathrooms with shower and one of them is en-suite of the main master bedroom. A long pine table with chairs and a cupboard are into an adorable living room, where a fireplace can be used also as BBQ. Pine sliding doors divide the dining area from a wide kitchen equipped for self-catering. A lovely sun-porch is the proper place for toasting Italian holidays in a good local rosé wine and mouthwatering, Mediterranean flavoured appetizers. Right over the gate of the villa a short foot-path leads straight to the beach in a couple minutes of walk. 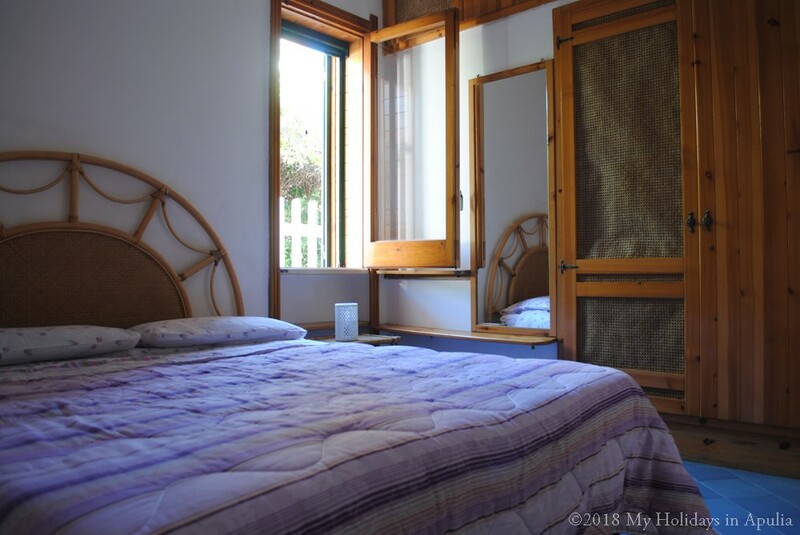 Besides, Selma apartment is situated by a holiday district of Gallipoli and is only a couple kilometers from the center of the town on the Ionian coast. Gallipoli from the Greek kalé-polis, that is beautiful town, is most frequently known as the Ionian Pearl. The old town, originally built on an island, was later bound to the land through a long bridge made of stone. Among old palaces with baroque balconies and antique portals with coats of arms there is the cathedral, a XVII cent. masterpiece, several churches, like the little Purità with its majolica floor, in front of the stunning scenery of the Ionian Sea. Santa Cristina, the patron saint of the town, is celebrated on July 24th with ancient religious rites: a very suggestive procession and spectacular fireworks. In front of the fortified town, the main road leads up to the modern part of the town, where lively commercial activities such as inviting ice-cream shops, pizzerias, restaurants and nice clothing shops are open until late at night.